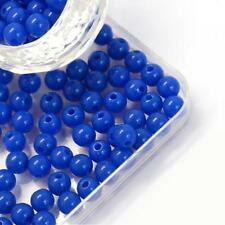 200 Opaque Acrylic Beads 6mm. Hole size: 2mm. Keep your jewellery, findings and beads tarnish free by removing when washing your hands, showering, swimming, exercising and before going to bed. Use a soft cloth to clean once a week.